The compassion with which St Luke’s looks after people is about far more than hands-on medical care. Our approach is holistic, so it also includes emotional and spiritual support for patients and their families at the most difficult of times. The Social Care team, which includes both staff and volunteers, comes alongside patients who request their help in very challenging circumstances and also their family members, who are referred if they need support as they navigate their way through the loss of their loved one. The team sees patients and families in their own homes, but also at GP surgeries and at the specialist unit, too. 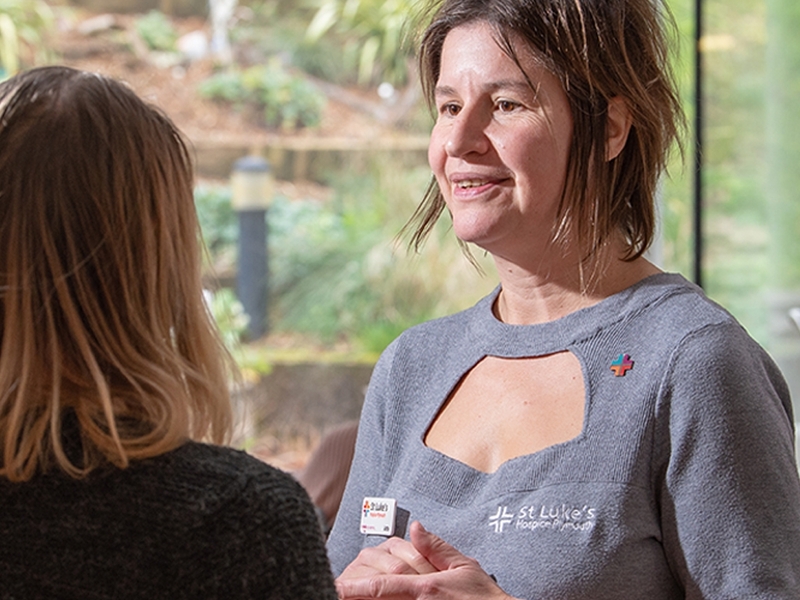 Speaking with Jutta Widlake, Head of Social Care, one thing is very clear – there is no ‘normal’ when it comes to the feelings people have when experiencing grief. “Am I ‘doing it’ right?” and “How long will these feelings last?” are questions frequently asked by people who are bereaved, but everyone’s reactions are different. Jutta said: “Grief can be very intense and it is common for people to fear they’re losing their minds, so it’s important we’re there to listen and reassure them that many people feel this way but, leaving aside very few exceptions, whatever is ‘normal’ is what’s natural for them as an individual. “Emotional distress is extremely common, but it is not unusual for some people to keep so busy that their grief can be delayed, or stifled, for a few weeks while they organise the funeral, or sometimes for many years. It is not always the case that we will see them soon after the death of the person they lost. “At this time of year, though, people can be feeling particularly anxious. Perhaps they have had family around them over the Christmas period and busied themselves, but now there’s more time to reflect and they’re feeling their loss more acutely. Or perhaps Christmas felt so lonely without their loved one that facing the year ahead seems incredibly daunting. Asked to pinpoint qualities and skills staff and volunteers need to make a difference, Jutta said: “Essentially we are facilitators who engage with people, firstly by listening to them, validating their experiences. Sometimes, there are very complex issues – for example, family conflicts or safeguarding concerns – so we help them work through those, too. The team continuously develop their specialist communication skills and use approaches such as mindfulness and cognitive behavioural therapy. Counselling skills can be very helpful, too. “We need to be empathic; the feeling that they’ve been heard can be incredibly helpful to those we support. In addition, we can assist in practical ways. 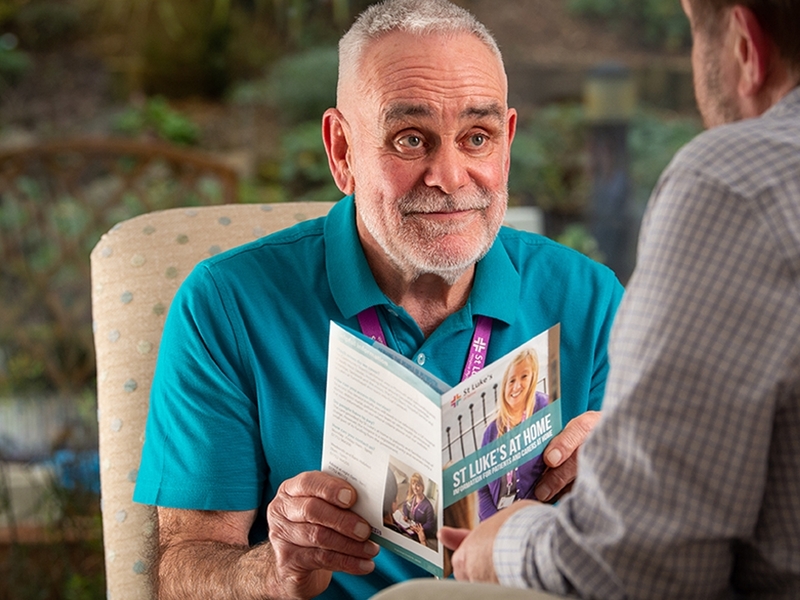 Our Social Care Support Workers often help the person navigate the complicated benefits system to access their full entitlement, and our volunteers help with shopping or creating a bucket list so the person can look to the future. Among the volunteers is Adrian Frost, who was inspired by the hospice care his brother received in Cornwall at St Julia’s and began giving his time as a van driver for St Luke’s before training as a befriender and bereavement visitor. Adrian sees these as two sides of the same coin – while the befriending is about coming alongside people in their last days, helping the bereaved involves supporting them as they face a new future. Over the years, Adrian’s kindness, listening ear and practical skills have helped many people, whether he’s visited them at home or taken them for a drive, recognising some people find it easier to share their feelings outside their everyday environment. Adrian said: “Nature can be so helpful, so sometimes we spend time outdoors by the sea or in the countryside. It’s not always about talking – silence can be a powerful tool. Being comfortable with it is important as, of course, is being open and interested in what the person has to say. 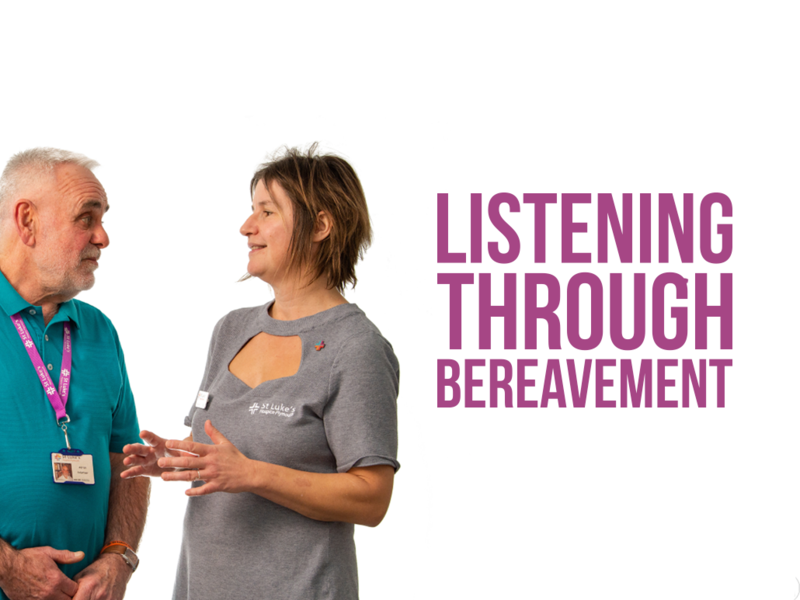 Learn more about our social care and bereavement support.